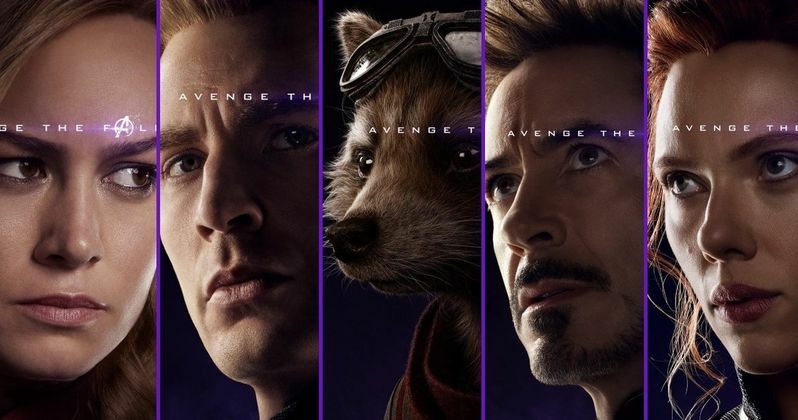 Marvel has released a ton of new character posters for Avengers: Endgame. This comes as we're exactly one month out from the movie's release date. Usually, character posters such as these don't tell us too much about the movie in question, but in this case, there are a couple of reveals. Most importantly, we now know that two key characters survived Thanos' deadly finger snap and will appear, at least in some capacity, in this year's follow-up to Infinity War. The posters are organized into two types. Black and white posters have been released for fallen heroes such as Nick Fury, Loki, Vision, Scarlet Witch, Mantis, Gamora, Doctor Strange and Black Panther. Not all of them were dusted. Specifically, Gamora met a grim fate at the hands of her adopted father so that he could get his hands on the Soul Stone, and Thanos choked Loki to death. But they're all in need of avenging. Every one of the posters comes with the tagline, "Avenge the fallen." The posters released for those who survived are done in full color. These include Captain Marvel, Ant-Man, Wong, Black Widow, Bruce Banner, Nebula, Okoye and Rocket. There are two posters worth focusing on. One for Tessa Thompson's Valkyrie and one for Jon Favreau's Happy Hogan. Both of these characters were absent from Infinity War and their status for Avengers: Endgame has been in question. But both of their posters are in full color, meaning they survived Thanos' balancing of the universe and they'll be in on the action for round two. Valkyrie, specifically, is a character many have been wondering about, given that we last saw her aboard the ship with Thor and the Asgardians at the end of Thor: Ragnarok, which was destroyed by Thanos and the Black Order at the beginning of Infinity War. With just one month left to go, we still have far more questions than answers. Odds are, we're going to have to wait until opening night to have the majority of them answered, which, for many fans, is just as exciting as it is frustrating. Pre-sale tickets are expected to go on sale soon, so that's something to keep an eye out for. Avengers: Endgame is set to hit theaters on April 26. Be sure to check out the brand new character posters from Marvel below.